Karen Motonaga of Hawaiʻi Island endured a long journey to become the first person in her family to receive a four-year college degree. 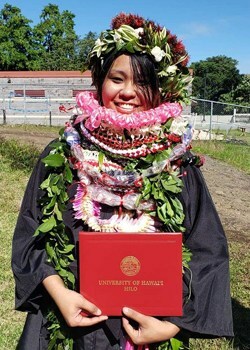 Ten years after she started attending the University of Hawaiʻi at Hilo, the 28-year-old graduated in December 2018 with a bachelor of arts in Japanese studies and a minor in linguistics. 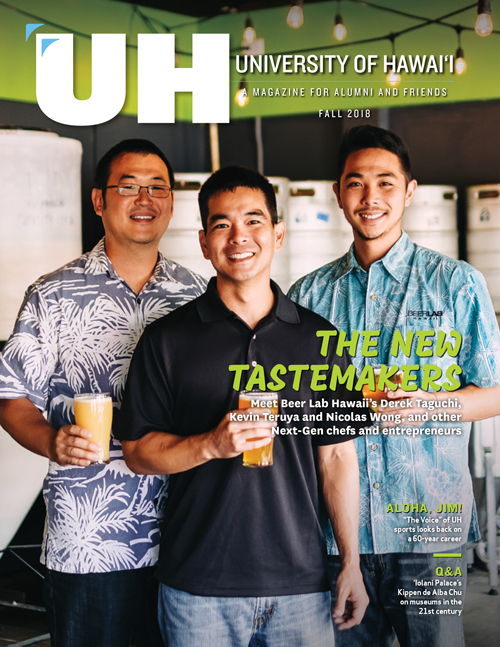 Born and raised on Hawaiʻi Island, Motonaga graduated from Kamehameha Schools Hawaiʻi in 2008 and was initially on track to graduate from UH Hilo in five years, while making the most of available opportunities. She participated in a study abroad program, spending time in South Korea and a year in Japan. She took part in a national student exchange going to school for a semester at the University of Montana. Then came a series of life challenges that knocked her off track. While out of school, Motonaga regretted not completing her college degree, knowing it was an unfinished part of her life.